← What is data virtualization? Data centers have been around for ages. In the beginning of time, they were like huge computer rooms and were very complex to maintain and operate. In fact, they sometimes required a special environment to operate them properly and a lot of cords and components to ensure that the system worked correctly. These systems usually required a lot of power and had to be constantly cooled to ensure that they would not overheat. They were also extremely costly. Although the data centers were used for various purposes back in the day, their main objective was to help with military efforts. Much has changed since those early stages of the data center. Today, they are more complex, have better technology, and require tier certification in order to operate them properly. Learn more about these data centers and the tier certification processes that go along with them. The data centers used today are homes to computer systems. They also hold various components that complement these computers, including telecommunications and storage systems. These centers also have backup or redundant supplies of power. Furthermore, they have redundant connections to data communications. In addition, environmental controls, like fire suppression and air condition, to protect the data in the center. Many of these centers are extremely large in size and require the electricity of a small town. For this reason, they require knowledge to operate them properly. This is one reason for data tier certification. • Tier 1 is for the basic Infrastructure of the site. This is a non-redundant certification. • Tier 2 is for redundant components of the site infrastructure. • Tier 3 is for site infrastructure that is concurrently maintainable. • Tier 4 is for site infrastructure that is fault tolerant. Like many industries, including law, accounting, real estate, and many trades, certification is necessary for operation. In data centers, certification establishes standards across the world that hundreds of different companies and organizations rely on for their operations. The certification standards affect the infrastructures of various networks, including large corporations, governments, and other organizations. Through certification, problems with infrastructure are indentified and quantified. Then, they are improved. This promotes a better long-term exchange of information. The first tier in the data center certification is the most basic. It is simply a server room. In this type of facility, a single path connects the power and cooling to the equipment. None of the components used are redundant. Therefore, any power outages that are either planned or unplanned with have a negative effect on the data. Typically, at Tier 1 data center has 99.67% availability. Occasional downtime is expected each year. This is actually important for the function of the applications in the server room. The second tier for data certification has some redundant components; however, it still facilitates cooling and power though the same single path. With this type of system, certain components can be taken off-line. This is helpful for planned services, and it causes no disruption to any of the data processing equipment that is used. On the other hand, a power outage that has been unplanned or a disruption to the service path will result in problems with the data processing equipment. Generally, a Tier 2 data center has 99.75% availability. Therefore, it is a little bit more reliable than Tier 1. 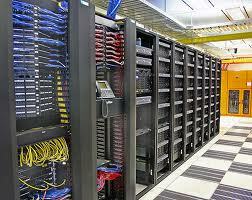 Furthermore, this type of data center is sufficient for many companies and organizations. The infrastructure for the third tier allows facilities to be available at nearly all times. This is because it provides more redundancy and reliability. The center uses redundant components and also relies on several separate cooling and power distribution paths. These all service the data processing equipment. Interesting, only one path works at a time. For this reason, regular maintenance and some unforeseen power outages will not effect the equipment in the center. Therefore, most Tier 3 facilities operate at 99.98% availability. Very few organizations need the reliability of Tier 4 infrastructures. Therefore, these standards are usually reserved for those who lack of available would have substantial impact. For example, many financial institutions operate at a Tier 4 level. This level provides multiple levels of redundant components. In addition, there are several independent cooling and power distribution paths. All of these paths are active and support the equipment in the processing center. Therefore, any equipment failure or power outage (regardless of the size or type) will not effect the equipment. Tier 4 centers are the most available and redundant around the world. They have been proven to be 99.99% available – nearly perfect. What Is Required Of Data Centers? Many businesses and organization rely on data centers daily. Therefore, it is not surprising that certain requirements are imposed on these centers to protect these organizations from risk. The “Telecommunications Industry Association” has determined certain standards including the size of rooms and the topology of data centers. There are also environmental requirements for these centers. The hope is to modernize many of the facilities so they are more energy efficient. However, this requires newer equipment. Furthermore, it is vital that all infrastructures work to standardize their process so that their systems are automated. Finally, it is especially important that these centers are secure to protect the data they house. Although data centers and data center tier certification sounds confusing, it is really a complicated way of categorizing the levels of data centers across the globe. This entry was posted in Data Center Design and tagged Data Center, tier certfication. Bookmark the permalink.